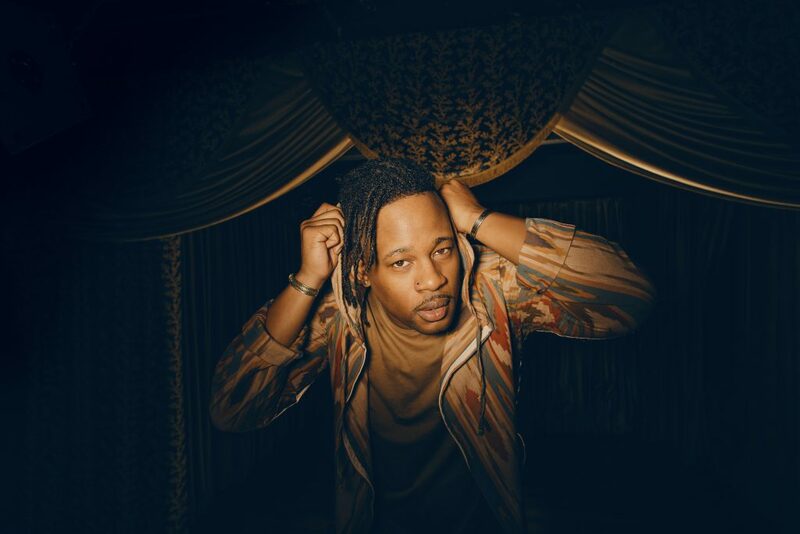 If you visualize Open Mike Eagle get into a bizarre feud with wrestler Shiloh Jonze, releasing a new EP called What Happens When I Try To Relax, and creating his own record label Auto Reverse you just might get inspired. He also shows no signs of slowing down his Camus-like exploration of reality. As a rapper who loves using hyperbole (like using “nazi black” as an absurd symbol of right-wing ideology gone wrong) and concocting twisted rhymes like “And I don’t know if I’m ready/to meet a person that died” which makes fun of ghosting, Open Mike Eagle shows us a reality in What Happens When I Try To Relax that’s campy, ridiculous, but very real — a perfect b-movie. Open Mike Eagle uses What Happens When I Try To Relax to reflect on current events and personal anxieties. The 37-year-old rapper is hyper-aware of himself and recognizes how he relates to others. The EP opens with “Relatable” which illustrates how OME feels: uneasy. The feeling of trying to relate with someone you might not really be connected to at all, or the feeling of living in the hood where all the windows are made to stop criminals. A weaker rapper would stay in the superficial, but OME is willing to dig deep. And in What Happens When I Try To Relax, he takes the absurd into new depths in a very powerful way using the alt-right as fodder, literal ghosts, and his pot belly. I spoke to him with a desensitizing electronic touch screen device to learn about the record, his label, and about him. “‘Nazi Black’ was an absurd image that I put into the context of a nightmare,” says Eagle.”It’s sort of reflective of a fear of growing racism in general, but that was just an absurd way of saying it,” he explains. Not everything is a joke though. OME also opens up about his place in the hip-hop world and doesn’t overdo it with absurdity which he counters with sincerity. When he saw Kendrick Lamar in Leimert Park and Vince Staples in Ladera Heights up close on separate occasions, he didn’t feel comfortable going up to them. “Not that I should have necessarily,” he explains. “But I thought it was interesting when I thought about it. I do the same thing for a living of course on a smaller scale. I don’t feel like I have enough notoriety to start a conversation. It felt like an odd place to be psychologically,” says Eagle. Feeling confident he could self-release this new EP, OME decided to go independent and create his own label Auto Reverse. “It’s kind of a complicated answer. But what it comes down to is where I am in terms of putting out music and having worked with different labels,” Eagle says. “I felt confident I could make it work. It’s been great putting stuff with other labels, but it’s good to feel more in control honestly.” However, the future of the label is still up in the air, but he hopes to make it successful and even bring in other rappers into the fold too. “It’s not something I want to do again,” says Eagle. So don’t expect Shiloh Jonze to show up at Marty’s On Newport. On the other hand, you never quite know with the absurd Open Mike Eagle. Open Mike Eagle will perform at Marty’s On Newport on Nov. 12th. Get tix here.